My post identifying music blogs blocked by the Chinese government has caused justified indignation over on Renewable Music, Soho the Dog and elsewhere. But here is how you breach the great firewall of China. Make sure New Music Reblog mirrors your site, because that's not blocked. Martin Scorsese's 1997 film Kundun, with its Philip Glass score, was a brave and pioneering anti-Chinese government statement. Remember you read it here first. Ah ... but if New Music Reblog won't link to a certain blogger (sigh) ... just like Blognoggle won't link to a certain blogger (double sigh) ... what's an oboist to do? Patty, I'm afraid your blog is blocked, both on the new domain and also on your old blogger.com site (there is a blanket block on all blogger.com hosted blogs). I'm afraid you'll just have to be nice to Chairman Jeff Harrington who manages the great New Music Reblog firewall. I have just checked out my blog and it is also blocked. Obviously music and musicians must be a controversial bunch. Anna, as above your blog is blocked due to a blanket bar on blogger.com hosted sites. My domain is not blogger.com but is blocked, which is not surprising as I've carried pro-Free Tibet articles for several years. But WebSitePulse do say "The banning of websites is mostly uncoordinated and ad-hoc, with some web sites being blocked and similar web sites being allowed or blocked in one city and allowed in another." Which probably explains why New Music Reblog which mirrors my stories is not blocked. Sequenza21, which is under the same management, is also not blocked. Uncoordinated and ad-hoc, but also very nasty. Just another manifestation of the denials of freedom imposed on Tibet by China for almost fifty years. Just a shame that it takes the Olympic Games to bring it to people's attention. 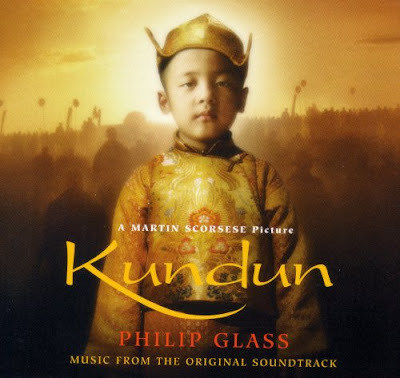 Martin Scorsese's 1997 film Kundun, with its Philip Glass score, was a brave and pioneering anti-Chinese statement. Scott, I think it was fairly obvious that by 'Chinese' I meant 'Chinese government', but to make sure I've added the word. Thanks for clearing that up. It was obviously past my bedtime last night when I left the comment!